When a person thinks of cork, they may think of a variety of things. Some people may think of the material used for bulletin boards, while some may think of material used for coasters. Others, thoroughly confused, may simply think of cork as the other white meat. Chances are, however, when most people think of cork, they think of wine. Part of each others’ lives, the two are nearly inseparable, especially without a wine opener. It would be easy to define a cork with a simple, unrefined answer. We could say that cork is a lightweight, inert substance providing blockage of liquids and leave it at that. But, because cork is an elemental part of wine, it is bestowed with certain elegance and sophistication. For this reason, wine cork deserves a more grandiose introduction: Cork hails from the bark of the Cork Oak tree, Quercus Suber. Produced extensively in Portugal, cork enjoys being fire resistant, providing insulation, and the company of fine alcohol. Since cork is very elastic and impermeable, it makes a great bottle stopper; for cork, just like for many of us, wine was destiny. Its adaptability, additionally, makes it an easy material to compress without change to the original shape. It was these qualities that intrigued Dom Perignon, a French Benedictine monk, to use cork in a bottle of champagne, thus influencing the world of wine from that moment on. How Do Wine Corks Affect the Environment? Wine corks are environmentally friendly, like a material that is always willing to lend a helping hand or an encouraging word to the ecosystem. This makes wine corks stand out from other forms of packaging, forms that often hinder their surroundings rather than help them. Wine corks are biodegradable, natural, and renewable. They also don’t go to waste, with each aspect of a wine cork having the potential to become something else. Even cork dust can be used for fuel and cork residue can be used to make other cork products. Cork forests, where cork oak trees reside, are important to the balance of the ecosystems with several species, including endangered species, calling these forests home. What is Wine Cork Recycling? Many places, such as Europe and Australia, have programs set up for wine cork recycling. Dropping wine corks off in designated areas, the wine corks are granulated and turned into products such as pin boards, tile, engine gaskets, hockey balls, safety mats, and boat decks. Recently, wine cork has even been used in rocket technology. 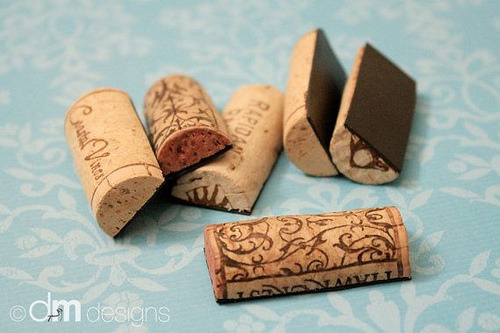 Because wine cork is one of the easier materials to recycle, there seems little reason to not recycle it. However, the US does not routinely engage in wine cork recycling, leaving some environmentalists to wonder why. This wonderment, not limited to individuals, has been adopted by a few US based companies. One of these companies, Yemm and Hart, a firm specializing in the recycling of products, is conducting an experiment asking for wine corks that they can recycle. Theorizing that cork is a valuable resource that should not go to waste, Yemm and Hart plan to begin manufacturing tack boards, coasters, plaques, and floor tiles all made from wine cork. 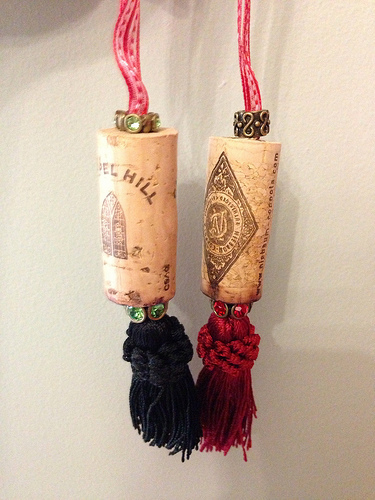 What Are Creative Ways to Recycle Wine Cork? If the concept of wine cork recycling catches on, recycling wine cork in the US may someday be as simple as recycling newspapers or soda cans. 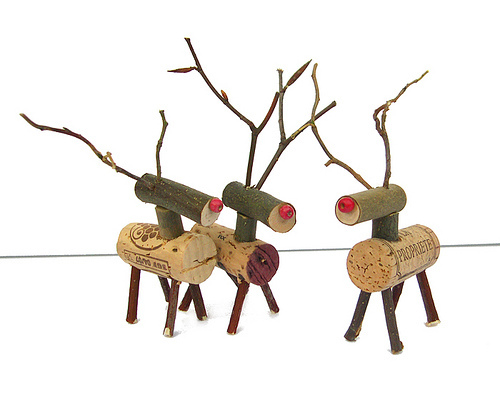 In the meantime, however, those who live in America can recycle their wine corks through a few creative means. While some people have donated wine corks to children’s museums, for use in displays and dioramas, others have made wreaths and decorative pieces out of old wine corks. Some people wire together wine corks and make hot pads while others suggest gluing sliced wine corks to the bottom of vases and knickknacks, as a means to keep these items from scratching tables and shelves. People have even found old wine corks useful as door stops, knife scrubbers, and pin cushions. Just as wine should never go to waste, neither should wine corks. A highly useable material, there are several ways wine corks can be recycled, even if it’s not routinely done on a national level. With all the kinds of packaging that can destroy the Earth, cork is an exception. A special material, cork is able to protect wine and the world by putting a stop to wastefulness.